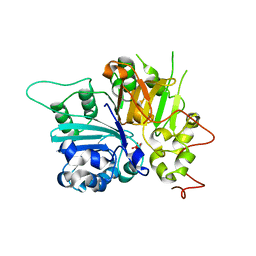 Authors: Davies, D.R., Interthal, H., Champoux, J.J., Hol, W.G. 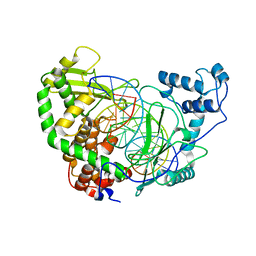 Cite: Explorations of peptide and oligonucleotide binding sites of tyrosyl-DNA phosphodiesterase using vanadate complexes. Authors: Redinbo, M.R., Stewart, L., Kuhn, P., Champoux, J.J., Hol, W.G.J. 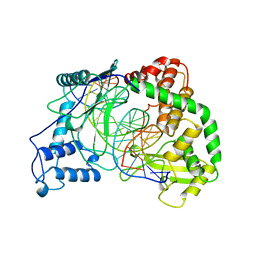 Cite: Crystal structures of human topoisomerase I in covalent and noncovalent complexes with DNA. Authors: Redinbo, M.R., Stewart, L., Kuhn, P., Champoux, J.J., Hol, W.G. Authors: Stewart, L., Redinbo, M.R., Qiu, X., Champoux, J.J., Hol, W.G.J. 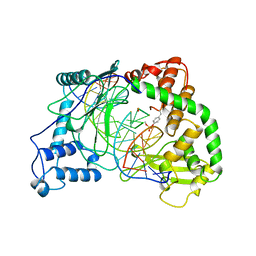 Cite: A model for the mechanism of human topoisomerase I. 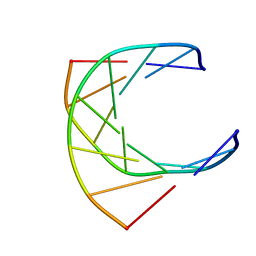 Authors: Redinbo, M.R., Champoux, J.J., Hol, W.G. 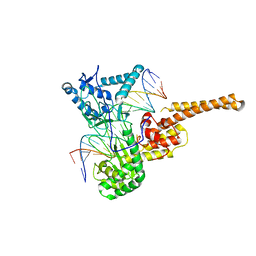 Cite: Novel insights into catalytic mechanism from a crystal structure of human topoisomerase I in complex with DNA. 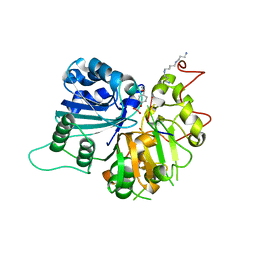 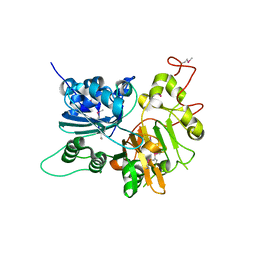 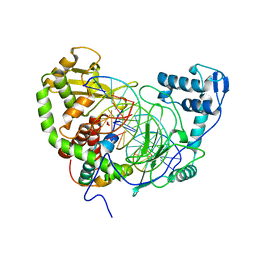 Cite: The crystal structure of human tyrosyl-DNA phosphodiesterase, Tdp1. Authors: Interthal, H., Quigley, P.M., Hol, W.G., Champoux, J.J. 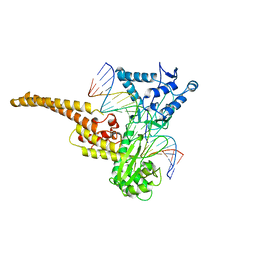 Cite: The role of lysine 532 in the catalytic mechanism of human topoisomerase I. Authors: Davies, D.R., Hol, W.G.J. 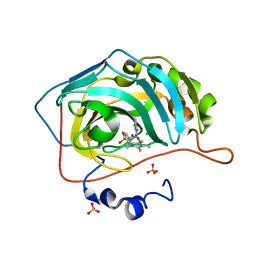 Cite: The Structure of the Transition State of the Heterodimeric Topoisomerase I of Leishmania donovani as a Vanadate Complex with Nicked DNA.